Sunny Corner is a waterfront property situated on Lake Eildon. The Lake is accessed by a 4WD track through the property. Great for safe swimming or boat mooring. The house is set on 2 acres with glorious wildlife. Kangaroos on the front lawn and many species of native birds (king parrots, jays, rosellas and kookaburras to feed). The property is situated at the beginning of the Taylor Bay “left arm”. Your aspect is across a grassed flat area, ideal for sports and games, to the houses of other Bay residents nestled in the dense bush. The Taylor Bay area of Lake Eildon is unique because access to the lake is only possible through private land. Large signs on the no-through road entrance to the Bay declare that there are no facilities available to the general public. Taylor Bay is located just 7 minutes from Eildon and 15 minutes from the dam wall. If lake levels are low all the water is in front of the wall. Eildon is approximately 2 hours drive from Melbourne along the Maroondah Highway. Sunny Corner is a typical 60s holiday house with polished floors and open living. Easily sleeps 8. Ideal for family holidays, get togethers, bucks nights and hens nights. Suits two families. Plenty of parking on a superb flat block. 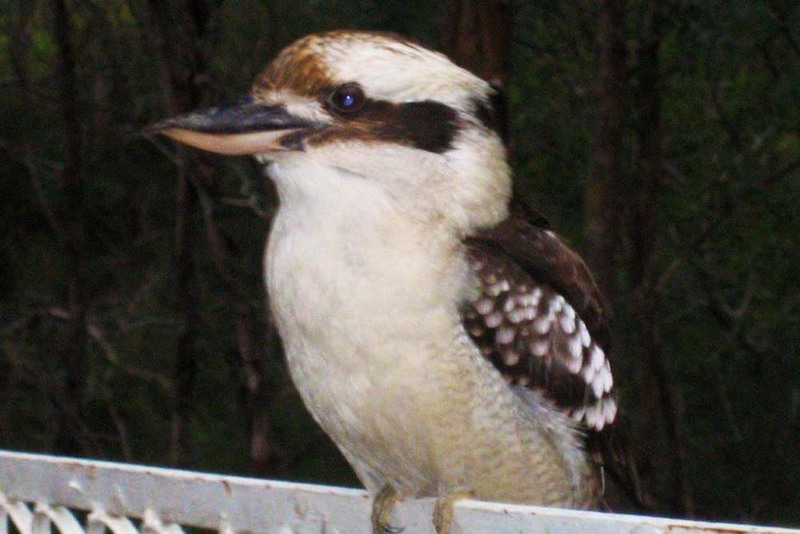 Take parrot feed and minced beef for the kookaburras. There are two double bedrooms and the bunk room which sleeps 4. There is also an extra sofa bed. View the seasonal specials and services we offer.